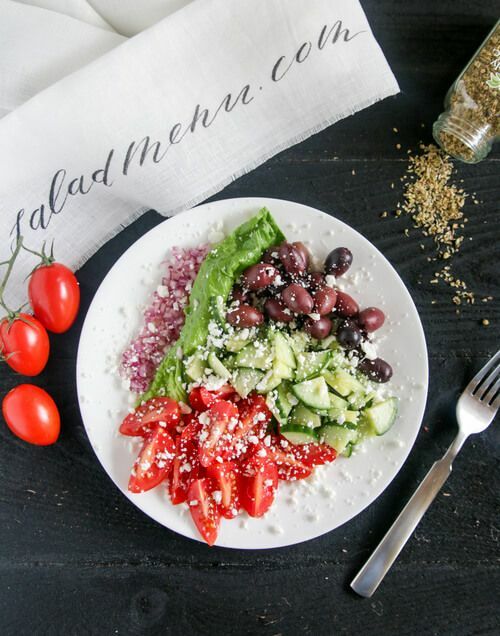 Greek salad is such an easy and satisfying lunch. It can be paired with your favorite protein, but could be enjoyed all on its own. I don't eat olives too often but I found out that they have the same healthy fats that olive oil has so this salad has extra health properties! The kalamata olives are also a source of calcium. The olives, as well as tomatoes, target heart health and lower the risk of heart disease, while the red onion fill you with fiber. Things around here have been busy, and I am now a soccer mom :). My youngest son (almost 5) has started playing soccer about a month ago. In addition to soccer, he has also started taking voice lessons. It is really cute to hear him sing. Combine tomatoes, cucumber, onion, feta cheese, olives together. Whisk together olive oil and oregano. Drizzle on salad.